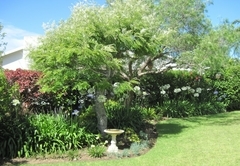 Acadia B&B is a Plettenberg Bay Bed & Breakfast providing accommodation in 3 guest rooms for tourists visiting the Garden Route region. 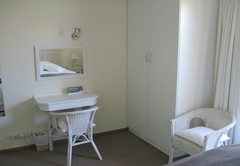 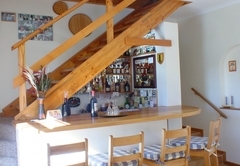 Acadia B&B is a comfortable and affordable family run guest house located in a quiet residential area of Plettenberg Bay close to all amenities and a short walk to the beach. 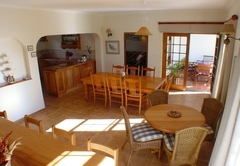 Plettenberg Bay is a popular destination for tourists and locals alike seeking a relaxing getaway with many activities to keep you entertained. 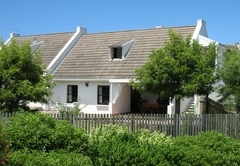 If you are a nature lover, water baby or simply a big fan of the ocean, then this is the place for you. 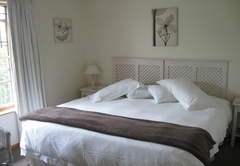 Come and enjoy a lovely bed & breakfast stay in our comfortable en-suite rooms. 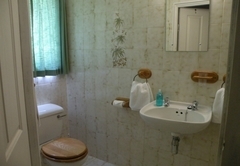 Sleeps two persons in two single beds and has a private bathroom. 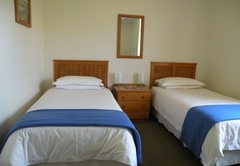 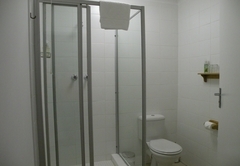 Sleeps two persons in a king sized bed (which can be converted to twin beds on request) and has an en-suite bathroom. 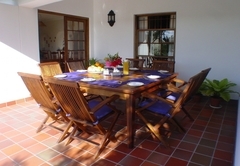 A substantial breakfast awaits you each morning either on the patio or in the dining room. 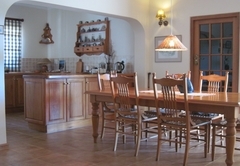 Dinner may be enjoyed at a host of nearby restaurants to suit all tastes. 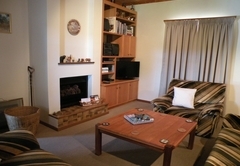 The Indian Ocean and surrounding mountains, forests,tidal lagoon,river gorge and sandy beaches host a wide variety of attractions and activities to suit all visitors tastes. 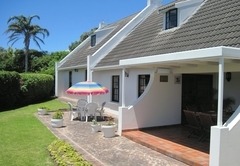 This beautiful bay with its temperate climate and modern facilities situated adjacent to the main coastal highway through the garden route offers a memorable experience to all visitors. 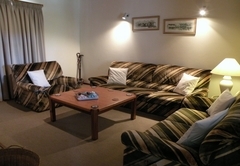 Your hosts resident at the property are available to share their local knowledge at all times. 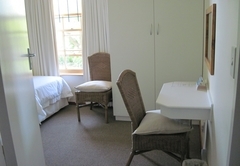 Bedroom with 2 x single beds and but private bathroom. 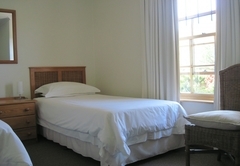 Bedroom with king size bed (converts to twin on request) and en-suite bathroom. 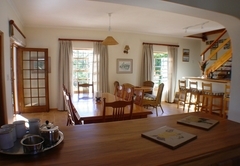 Response timeAcadia B&B typically responds to requests in 5-10 minutes.